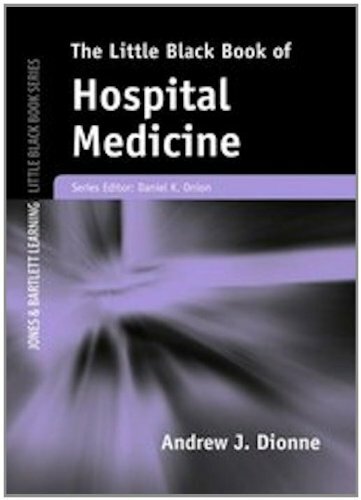 The Little Black Book of Hospital Medicine provides practical, concise evidence-based information on the diagnosis and treatment across the spectrum of illness and injury in the hospital setting. This book features a simple, accessible template for each subject, and quick and easy references to the relevant literature. The Little Black Book of Hospital Medicine is a convenient resource offering instant access to vital information and is the ideal resource for todaya (TM)s hospitalist.